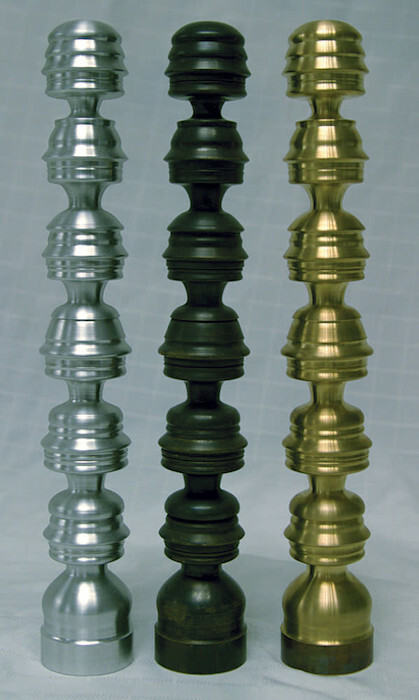 1 Revolutionary Family Totem, 12x2x2 inches, bronze (bronze color or dark patina). Stacked silhouettes of family members turned on a cnc lathe. Please inquire about a commission of your Revolutionary Family Totem (in aluminum, bronze, wood, marble).